Here comes a complete internet world for kids who are looking for unlimited entertainment and fun. KidZui is an innovative web browser specially designed for kids with over 800,000 websites, videos and pictures. This is the most popular and highly complimented internet browser by tech editors and parents who are personally cared about their children internet safety. 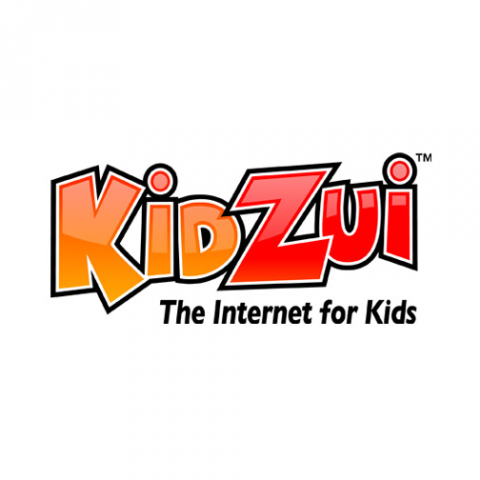 KidZui is designed in such a way that your children can access anything world-wide stuff like kid-friendly sites, images and videos. Kids can build avatars online and earn some points for study and revelation. Enjoy unlimited stuff like fun and educational websites and online games. Set those websites as your favorites for viewing later. Search the Internet safely with million suggestions while you type. Get results with images. Play different games which include puzzle, racing, dress up, action, arcade and much more. Checkout the most popular kid-friendly videos, powered by Youtube. Watch cartoon, sports and TV videos. 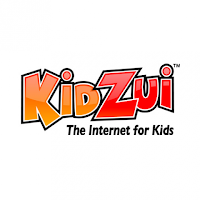 KidZui let parents forget about their children as it allows websites, videos, games and pictures which are approved by parents and tech experts. Social Networking Sites with extra safety. KidZui has user-friendly and beautiful Interface with buttons and labels for easy understanding. Search the web using Search/URI bar or left navigation side-bar that include various categories like movies, TV, animals, games, sports, etc. It contains three tabs for web browsing, photos and videos. Rest of things is similar to the normal internet browser. A small registration is required for parents for their children online identity. The upgrading version will offer more options and advanced tools like blocking individual sites, better safety, additional avatar clothing, content rating tags, and colorful backgrounds. 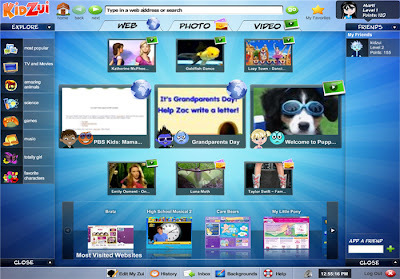 Download KidZui 6.0, the kid’s internet browser for free or upgrade to latest version. 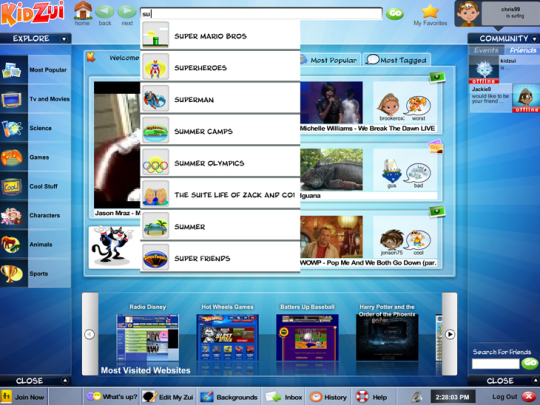 KidZui is compatible only with Windows XP and Vista. So, Windows 7 users have to wait sometime for this amazing kid’s internet world.